Adventureland, Freaks and Geeks, Sin City and more are among the titles saying goodbye to Netflix this month. Here are a few of our picks to binge this weekend before it is too late. Taking place in 1987, this film stars Jesse Eisenberg as James Brennan, a young man forced to take a summer job at the local amusement park called Adventureland. Kristen Stewart plays Emily “Em” Lewin, the co-worker Brennan falls for. Denzel Washington, Clive Owen and Jodie Foster star in this film centered on a seemingly perfect bank heist but nothing is as it seems. Washington plays the detective brought in to negotiate the release of hostages while Owen is the leader of the group of robbers. This television show ran only one season back in 1999 but remains a cult favorite. The show follows two different groups at McKinley High in the 1980’s, the “freaks” and the “geeks”. The cast includes names such as Linda Cardellini, John Francis Daley, Seth Rogen, Jason Segel, Busy Philipps and more. Neve Campbell returns as Sidney Prescott, now a college student at Windsor College. A film has been made about the events that occurred in the first film and the spotlight is once again on Sidney when a copycat puts on the infamous Ghostface mask and picks up where the previous killer left off. Adapted from Frank Miller’s comics, this film weaves together three stories of people caught up in darkness and corruption. Sin City is worth watching for the visual effects alone. The classic vampire film stars Jason Patric and Corey Haim as brothers Mike and Sam who move to a new town in California with their mother. 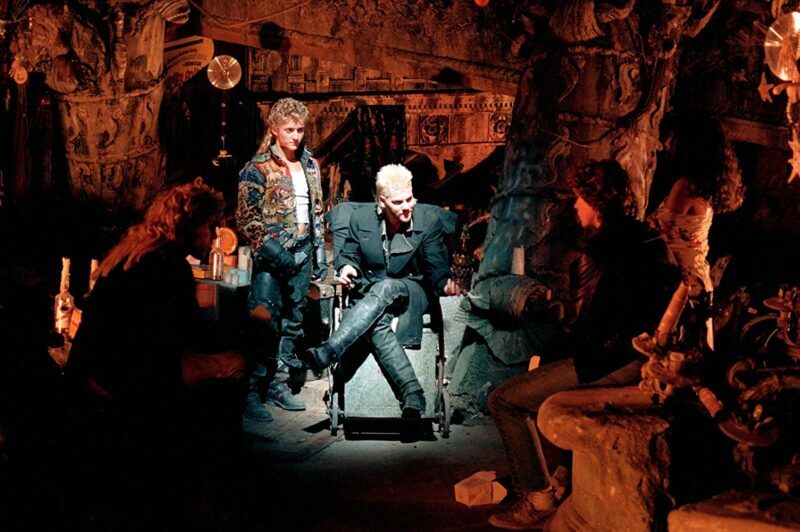 Shortly after arriving, they discover the town is home to a gang of vampires, led by Kiefer Sutherland. When Mike exhibits signs of becoming a vampire himself, Sam enlists the help of his vampire hunter friends to save his brother. Next story Happy Birthday, Matt Cohen! Our Favorite Matt Moments!